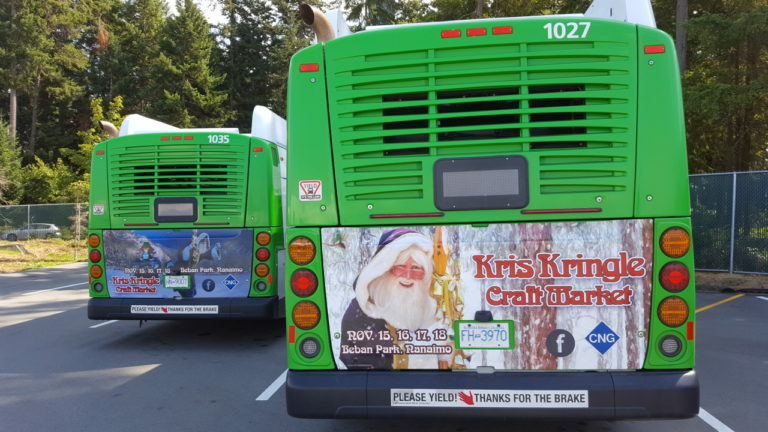 This year you'll see our ads on the back of Nanaimo Regional Transit busses, and if you catch a picture of one, we'd love to see it. Submit your photo and you could win a pair of tickets to the Kris Kringle Craft Market 2018! Daily draws until November 17. Enter as often as you'd like, but only one win per household. Draws are made daily at random, from entries posted that day. Submitted photos may be used by Kris Kringle Craft Market for promotional purposes.